The LEDBLADE system powered by CRE:ON HD was developed specially for the event industry. LEDBLADE creates depth of space or three-dimensionality: it enhances edges, expands the visual area or links together to create any geometric design. Its new core, the CRE:ON HD unit is a power supply and a digital led strip controller card in one case serving as a “Hybrid Drive”. Lighting Designers and operators can use whatever they’ve been accustomed to use day by day, eg. : a light console, a media server, or software to link with the IP-rated LEDBLADE system for both indoor and outdoor use. 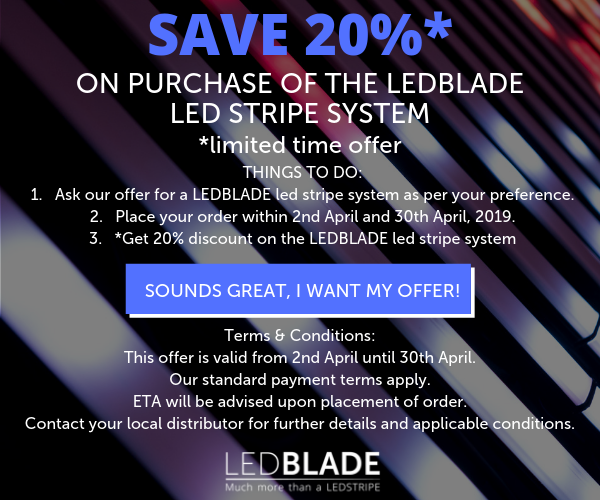 „Much more than a LEDSTRIPE”. LEDBLADE Ltd. | H-1115 Budapest, Kelenföldi út 2.